Premier LPG are quickly becoming established as the leading independent LPG supplier to homes and businesses in Flintshire, its major towns of Queensferry, Mold, Holywell and Flint the surrounding countryside and the nearby counties in North and Mid Wales. Our great customer care, the cheapest LPG prices and the way we make switching supplier to us very easy, all go to making Premier LPG the obvious choice. With our head office in Preston, and LPG tankers and drivers based at Ellesmere Port, our delivery team has easy access to Flintshire’s main road network, thus ensuring that deliveries to our Flintshire based customers are as reliable and efficient as can be. A substantial number of domestic LPG customers have transferred to us since rules allowing LPG home owners to change LPG supplier were introduced a few years ago. Changing your LPG supplier is now quick, easy and free to do. 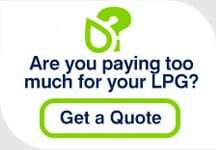 We are confident you will be pleasantly surprised by how much cheaper our LPG price is. We have seen the transfer of several residential developments recently where properties share LPG storage tanks and LPG use is measured by a meter. Flintshire seems to be a popular place for LPG metered estates with farmhouses and barns being converted to domestic homes which due to their rural location are not supplied but mains gas. For properties in these locations LPG is the ideal alternative fuel for communal developments because sharing LPG equipment is the most effective infrastructure to supply LPG to properties located close together. As a fuel, LPG is both versatile and cost effective for businesses not on the national grid. many of our customers use LPG to heat premises, cook with a real flame, run Forklift Trucks and dry crops amongst other industrial and agricultural uses. Flintshire LPG users can find more general information on the following pages: Domestic LPG transfers, Metered LPG transfers and Commercial LPG transfers.